Particle Mesh is built to help you better understand the world around you, which is why we’re so excited about our collaboration with Seeed Studio on the Grove Starter Kit for Particle Mesh. 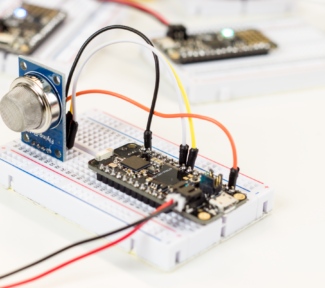 This Starter Kit is designed to make your first exploration into the world of sensors a breeze. 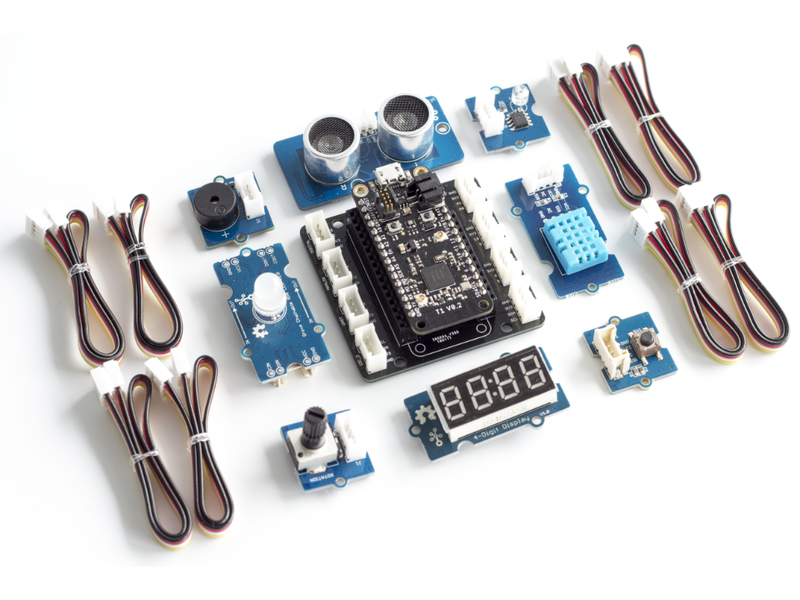 The kit comes with seven different components that work out-of-the-box with Particle Mesh hardware and lets you focus on learning the basics. It’s now available in our preorder store at an early bird price of $29 (retail $35). Working with Starter Kit requires no soldering and minimal wiring. 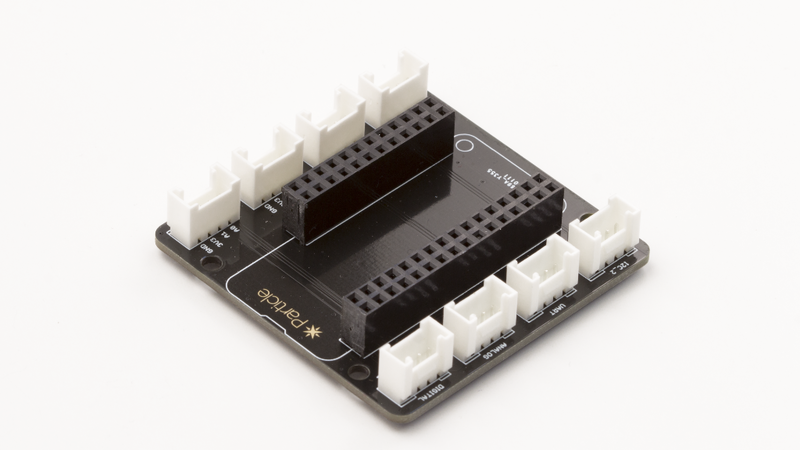 Simply connect the kit’s Grove Shield adapter (shown above) to your Particle Mesh board and use the included cables to connect the adapter and included components. It’s a plug-and-play experience. 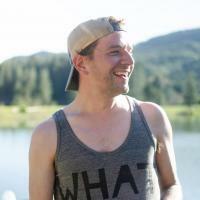 Already made your Particle Mesh preorder? Not to worry, log in here to easily update your cart. Rest assured shipping will still be a flat rate. 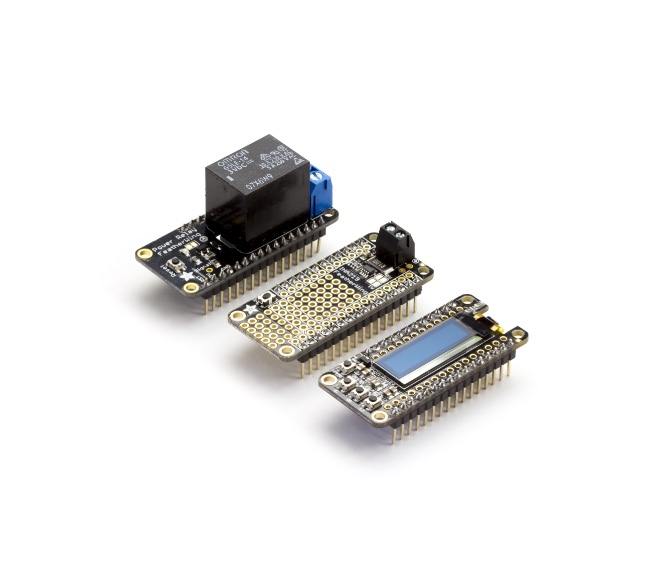 The kit comes with the Grove Shield adapter, a variety of analog sensors that can read environmental conditions and events, plus a few components to output the state of what’s going on in your code like a buzzer, display, and multicolor LED. Note: the Particle Mesh device is not included. Analog sensors can measure an external event in the physical world and electronically express what is observed. For example, the light sensor in the kit is designed to measure the ambient light in a room and report back a value. And it doesn’t just indicate if a light is on or off, it indicates what level of light there is in your room. The rest of the sensors in the kit behave similarly. With the rotary angle sensor, you’ll be able to determine what angle the sensors knob is at. The ultrasonic range sensor you’ll be able to measure the distance the sensor is from an object in the room. And, you can probably guess what the temperature and humidity sensor does—it tells you the temperature and humidity of the location where the sensor is located. Getting all of this data from sensors about the environment is great, but it can be challenging to visualize. That’s why we’ve included a few output components to help you get a sense (no pun intended) of what’s going on between your sensors and your Particle Mesh device. 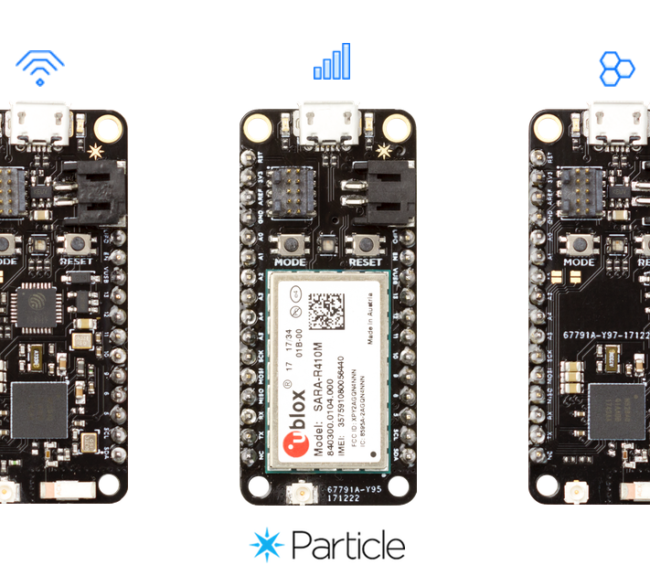 Whether you want to learn about each sensor individually or combine them to make things like a weather station, light show, or digital tape measure, the Starter Kit is a great place to begin with Particle Mesh. Combine the temperature & humidity sensor with the 4-character display to display your local temp and humidity. Control the RGB LED using the rotary angle sensor and dial in your favorite color. Use the ultrasonic range to take measurements around your home and output the data on the 4-character display. Deploy the ultrasonic sensor and buzzer on a Xenon with code to sound the buzzer when someone breaks the invisible tripwire that the ultrasonic sensor creates. Build a nightlight that turns on when the lights go out. Use the light sensor to detect the ambient light level and turn on the chainable RGB LED when the light is low. And these are just the start of what you can do. 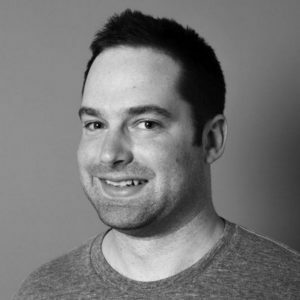 What connected problem will you solve with Particle? Order your Grove Starter Kit for Particle Mesh today.